I remember the first time I watched The Evil Dead; that moment when Cheryl turned around, having become a Deadite. 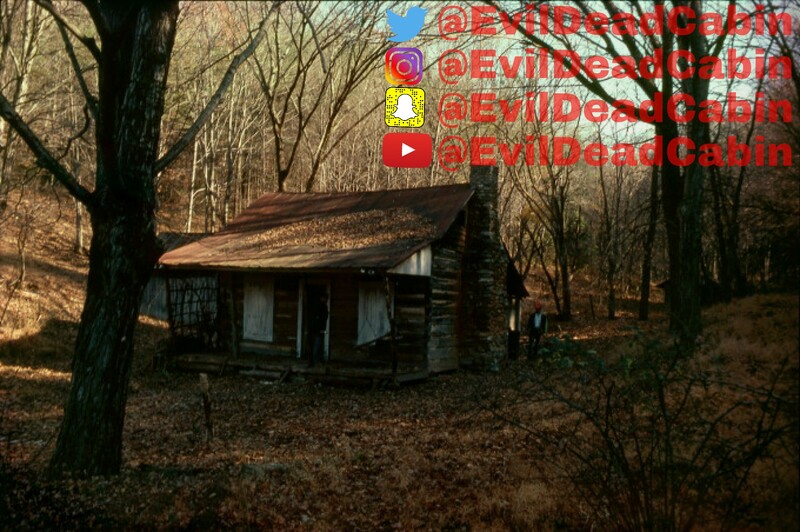 Thirty plus years later, we decided to finally make the trip to the site of the Evil Dead cabin. Scroll down, to see pictures of what the cabin looks like today! Enjoy! You know the scene; the one where Ash burns the Necronomicon (Book of the Dead) in the fireplace of the Evil Dead Cabin! We have the REAL dirt, collected from the REAL fireplace, that this very scene occurred. Get your VERY own vial/pendant on a necklace, filled with the dirt from the ashes of the Book of the Dead! An absolute MUST HAVE for any horror fan! Click here to get yours! Collecting dirt from the fireplace. A close-up of the dirt. The evil dirt, after it has been dried & separated. Putting dirt from the fireplace, into the bag. 2 of the necklaces, finished. The hole that was dug out, for the fruit cellar. This is where they locked up Cheryl, after she became a Deadite. The path to the Evil Dead cabin. Surprisingly, it wasn’t too overgrown. The tree, outside the cabin. Decades later, the tree still stands! The tree, outside of the cabin. Decades later, the tree still stands! These are before and after pictures, of the fireplace. The chimney is all that remains of the cabin.